Begonia is a white unicorn rabbit that is covered in multicoloured patches. She has glittery blue button eyes and large ears with peach coloured fabric inside. Her feet are peach coloured and she has a large sparkly silver horn on top of her head. Begonia was released in January 2019. 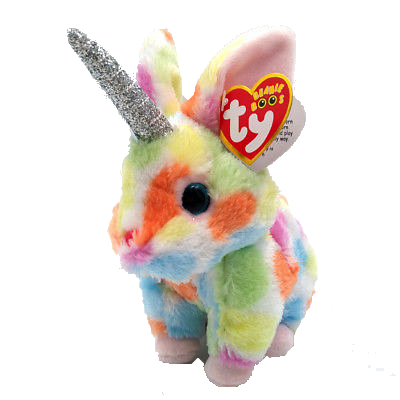 She is part of a range of Beanie Boos that grew a horn.